The latest blood alcohol content (BAC) measuring device in development looks more like a fashion accessory than a breathalyzer. As Reuters reports, the Skyn wristband from San Francisco-based company BACtrack just received the $200,000 grand prize at last week's National Institutes of Health Wearable Alcohol Biosensor Challenge. Instead of calculating BAC through alcohol levels in your breath, BACtrack Skyn wraps around the wrist and analyzes the sweat on your skin. The wearable is more lightweight and convenient than most portable breath alcohol testers, and will likely be a lot cheaper once it hits the market. Despite its advantages, the new alcohol-detecting gadget won't be replacing the breathalyzers used by law enforcement any time soon. It takes about 45 minutes before alcohol is detectable through the skin, so BACtrack Skyn is meant to show a recent history of alcohol consumption rather than real-time BAC levels. The device would be useful, however, to doctors, those with alcohol abuse issues, and their families. Medical professionals could use it to get a better picture of a patient's recent drinking behavior in addition to more up-to-date test results. 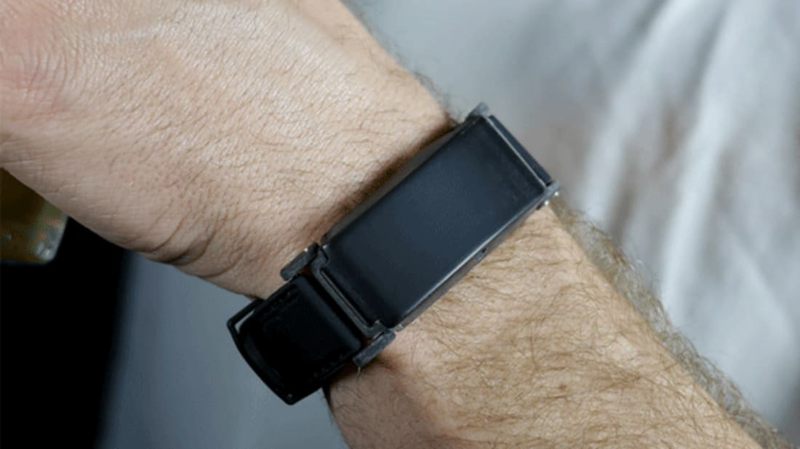 It can also connect to smartphones and send a notification to the wearer or a loved one when BAC levels exceed .00 percent. According to the National Institutes of Health, the Wearable Alcohol Biosensor Challenge sought to award a blood alcohol level monitor that was "inconspicuous, low profile, and appealing to the wearer." BACtrack's discreet device beat out seven other submissions for the top prize. Skyn has yet to be submitted for FDA approval, but the creators plan to introduce a limited release of the product by the end of this year.